This is a new column dedicated to recreational shotgun pursuits in both the clay target disciplines and the feathered kind. From the first moment I ever pulled the trigger of a shotgun, I loved it. I had to really work at it but I enjoyed it so much I was willing to do so. The more I shot, the more I wanted to learn. I took lessons from a variety of instructors and, over time, my skills evolved as did my passion for just about everything involving shotguns. My love of travel has led me to many clay courses, as well as to Argentina shooting doves, South Carolina and Georgia to shoot quail, Oregon to shoot a mixed bag of birds and even Scotland to shoot driven pheasants. I was becoming acutely aware that this was a sport that had many wonderful places to shoot. Opportunities to shoot not only close to home, but at beautiful places all over the country, and the world for that matter. Through these travels with friends and clients alike, I have had the great pleasure of meeting wonderful people and experiencing some great shooting destinations. I have watched these shooters grow both in proficiency with their shotguns and seen their passion for wingshooting come alive first hand. I look forward to sharing not only great travel destinations, but all the fabulous gear and all that goes along with shooting adventures each month in Lanier Shooting Sports....Lifestyles. To sum up the photos in this first issue, getting out and shooting is more fun “than should be legal.” See you next month with more photo adventures! 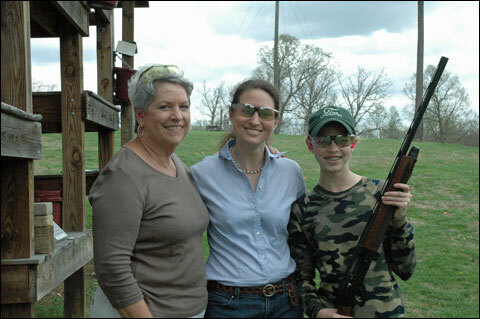 Elizabeth Lanier is a highly regarded shooting instructor based in Virginia. She loves teaching men, women and children and introducing them to all the joys that recreational shooting brings forth! Founder of the G.R.I.T.S. 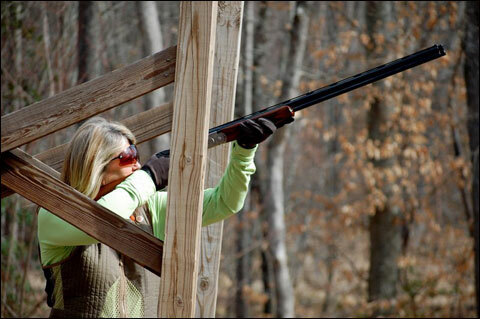 (Girls Really Into Shooting), she is a leading advocate of women in the shotgun sports and this fall will be planning shooting events centered around the G.R.I.T.S. mission of shooting for the pure fun of it as well as planning trips for not only women, but everyone. Visit the Lanier Shooting Sports web site at http://laniershootingsports.com. Gaye Griffin-Hill shooting a Ceasar Guerini with beautiful form, wouldn't you say? You can check out Caesar Guerini shotguns at http://gueriniusa.com. 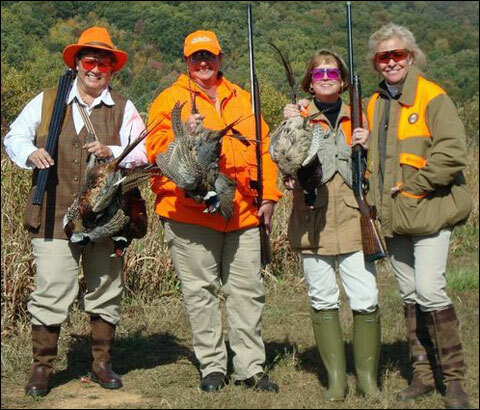 A women’s wing shooting clinic at the Primland Resort in Meadows of Dan, Virginia. These ladies love to shoot! Starting at the left is Debbie Clay (love her custom vest), Toni French-Brown, Christina Nyczepir shooting a Beretta 391, which is one of my favorite shotguns for giving instructions, and yours truly. Primland is beautiful. Visit their web site at http://www.primland.com. 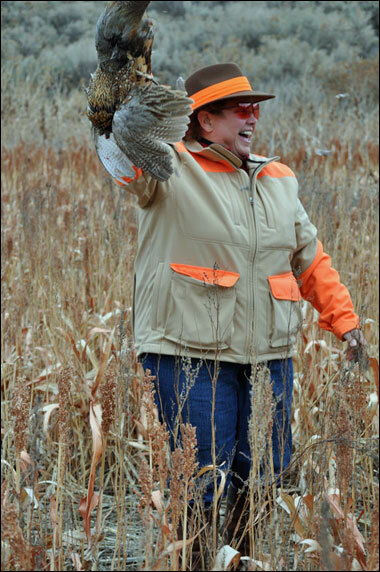 And here’s Debbie Clay shooting her first pheasant at Highland Hills Ranch on a G.R.I.T.S. shoot. Highland Hills Ranch is a must-visit. Here’s their web site: http://highlandhillsranch.com. Igniting a passion by creating another successful student at Lanier Shooting Sports. This is why I love what I do. I’m with Reagan Leahey. The smiles of success after lessons at Lanier Shooting Sports...Come on and get your daughters and granddaughters shooting. Here’s Reagan again with her mother Carey (center) and grandmother Bonnie Cuddihy. 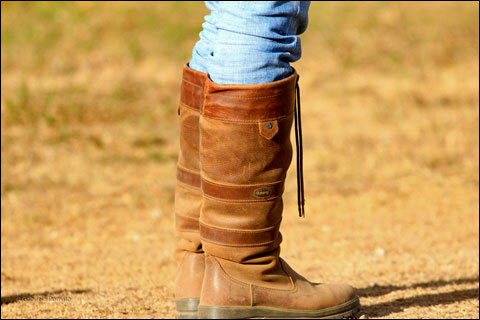 Nothing like a well-loved pair of “Dubbies.” You can find out more about Dubarry boots online at http://www.dubarry.us. Elizabeth Lanier is an NSCA Level III instructor and certified instructor for the Coordinated Shooting Method (CSM) who is based in Virginia. For more information, visit her web site at http://www.laniershootingsports.com. Please send your questions and comments to elanier@laniershootingsports.com.